Doug Lawrence is a former member of the Midstate chapter of Tennessee Craft and now continues his membership in Knoxville. While a member of Midstate he participated on the board as our Chapter Representative. Doug was a 2018 recipient of the Master Artist / Apprentice Program (MAAP), where he worked with Brad Sells. 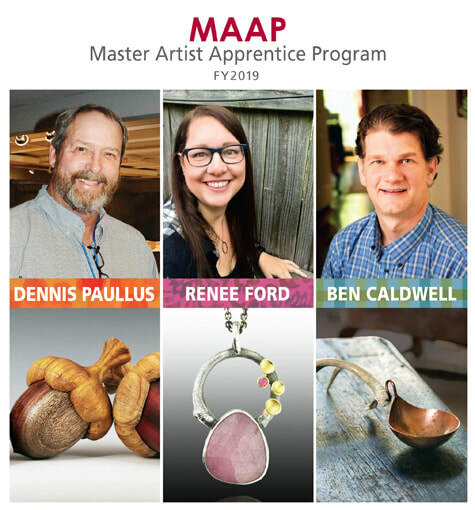 MAAP is one of several programs offered by the state organization to benefit Tennessee Craft members. >For more information about this program and to learn how to apply, click here.